Some dirt spots inside cover and on page edges. Clean otherwise. 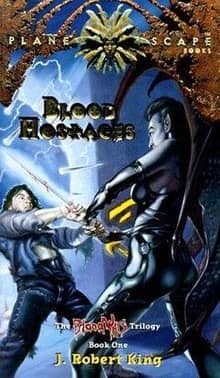 When his uncle is abducted by a pair of gargoyles at the behest of an eight-armed god, Aereas joins his cousin Nina on a perilous journey into a bizarre and twisted world where they uncover a plot to turn the tide of the Blood War and unleash a horrific evil.